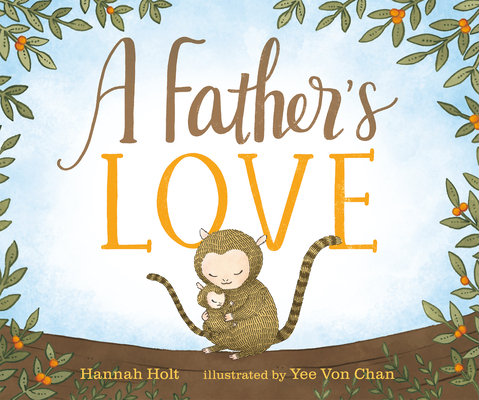 With beautiful art that brings all of the dads and babies, and the love between them, to vivid, colorful life, this book is a celebration of the special bond that a father shares with his children. Hannah Holt (hannahholt.com) is an engineer and children's author. Her books, Diamond Man and A Father's Love weave together her love of science and language. She lives in Oregon with her husband, four children, and a pet fish named Moon. She and her family enjoy reading, hiking, and eating chocolate chip cookies. Follow her on Twitter @HannahWHolt. Yee Von Chan (chanyeevon.com) is the illustrator of Finding Christmas. She enjoys traveling, stargazing, reading, Japanese food, and various kinds of stationery. Yee Von lives with her naughty and adorable miniature Schnauzer, Max, in Kuala Lumpur, Malaysia. Follow her on Instagram @whimsywhimsical.